Adorable and very well made sterling silver baby anklet is specially made for babies with heart-cut out plate and it is secured with lobster claw clasp. 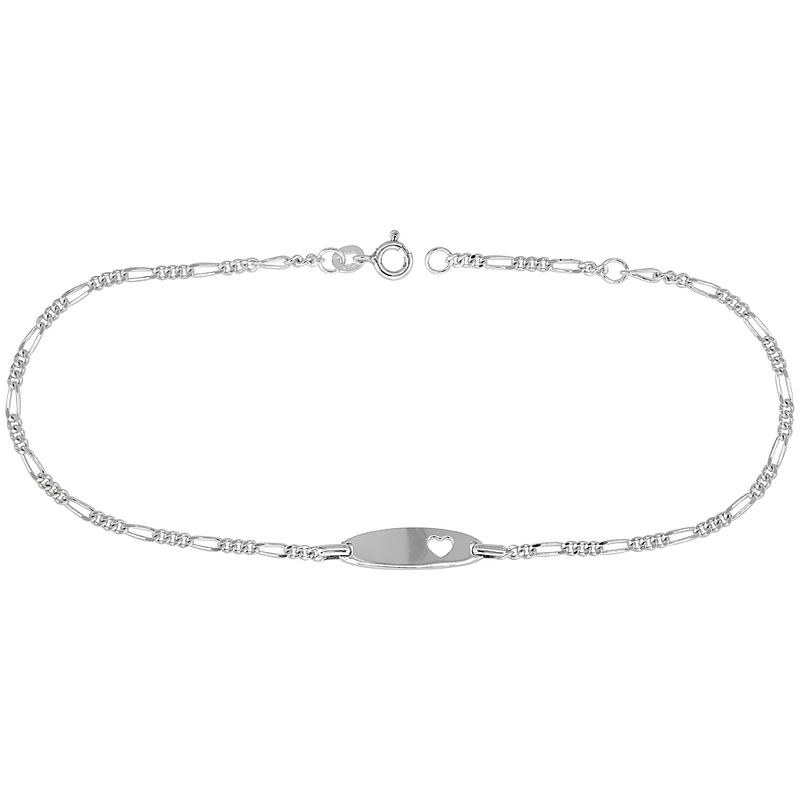 This elegant Figaro link anklet incorporates a popular design pattern of 3 small circular links on same size connected by one elongated oval link. Show your love and share your happiness on tiny arrival with new mom by presenting her with beautiful anklets and enjoy the Babyshower.